I showed Rosie how to etch on Acrylic. We then wiped some ink on the scratches to fill in with a little color. 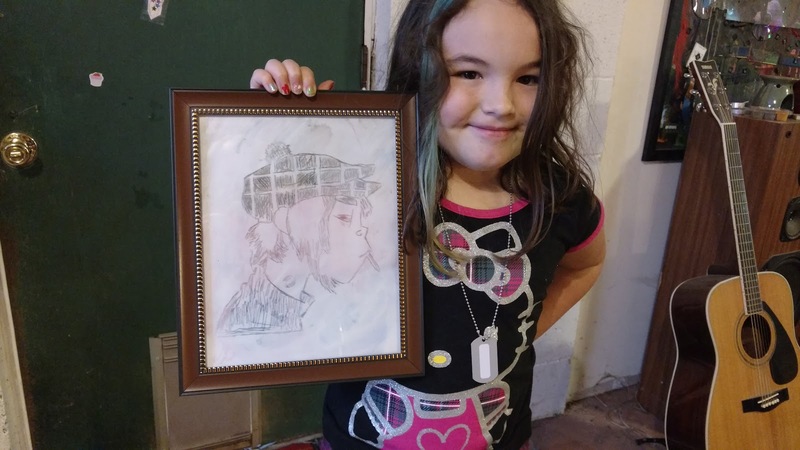 She wanted to do 2-D from Gorillaz (of course).